We have some information on our latest iOS update for you today. We added several new features and fixed some bugs to give you a better prototyping experience! What are these new features and improvements? Until today, you were only able to upgrade your plan from the Web version of Prott. However, now you can upgrade to the Starter plan directly from the iOS version of Prott! Note: Please be advised that the iOS in-app purchase currently only supports upgrades to the Starter plan. To upgrade to Pro, Team or Enterprise plans, please go through Pricing & Plans on the Web version of Prott. 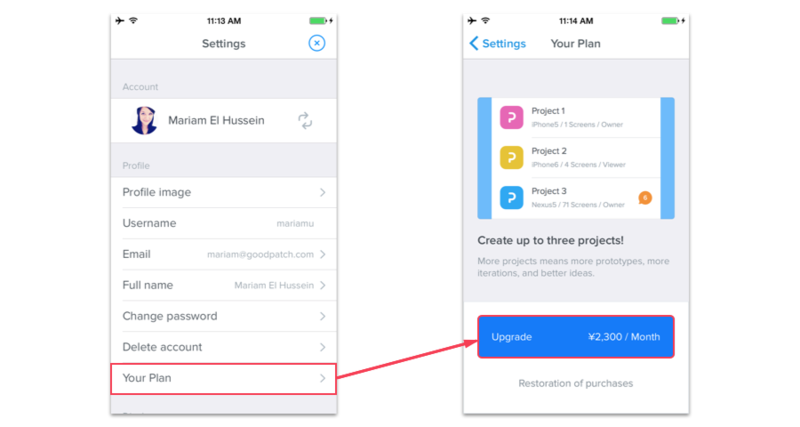 Note on upgrading to Pro, Team or Enterprise plans after using the iOS in-app purchase: Please unsubscribe through the iOS app first before going through the Pricing & Plans on the Web version of Prott to upgrade. 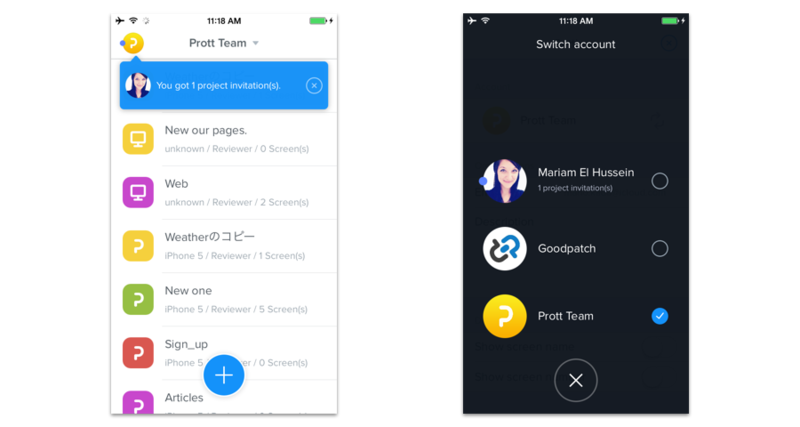 Get notified when someone invites you to a project within the app in real-time! This is especially useful when you are a part of multiple organizations. The notification not only indicates that you were invited to a project but also displays to which organization or account the invitation was sent to. In the previous versions of Prott for iOS, you were only able to exit the preview mode by shaking your iPhone. 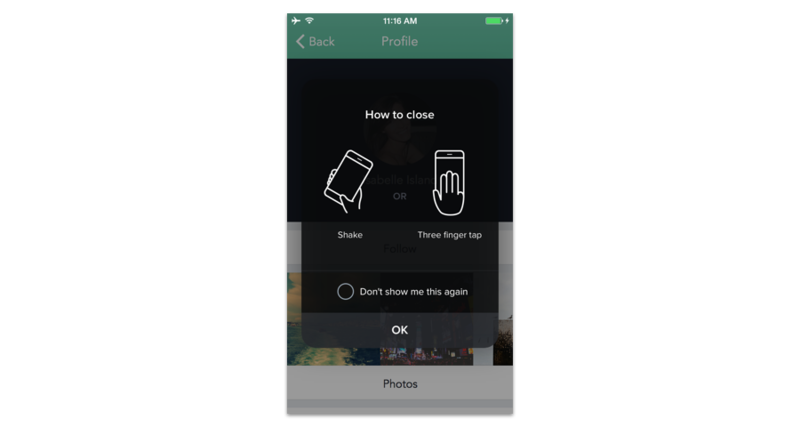 However, with this new update you now have the option to exit the preview mode with a three-finger tap! 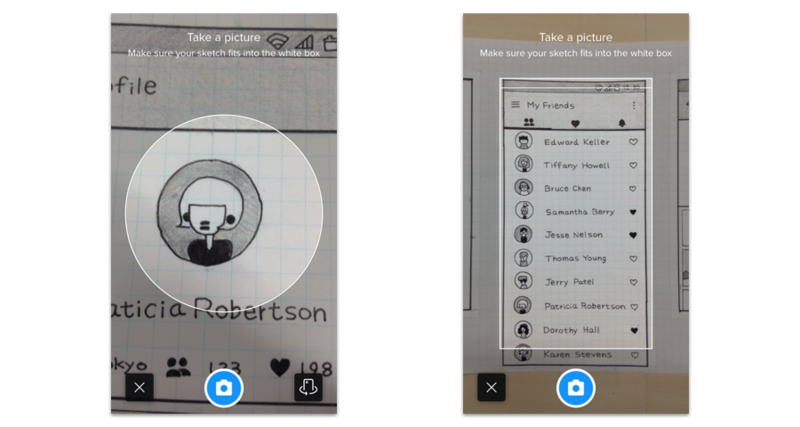 Take your profile picture with the new circle crop area and have it ready instantly! 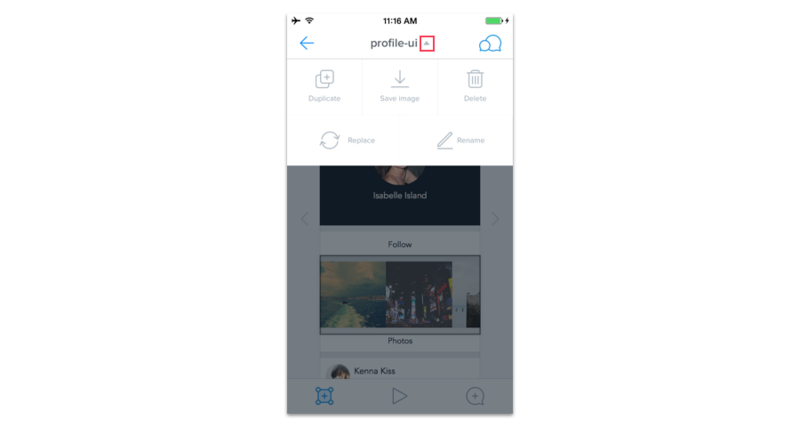 Capturing screen images is more convenient now with the addition of the status bar area. Take your screens and crop them to perfection with this neat new addition. A new feature has been added to individual screen settings. You can now save screens from the Prott app to your device! Just select the screen you want to save and click the ‘▼’ mark next to the screen name to view the screen settings. As always, we would love to hear what you think of these new features and any other features you would like to see. Please feel free to contact us anytime at support@prottapp.com or tweet us @prottapp with any feedback, comments or questions!